It doesn’t take a special skill or talent to be an ally for marginalized groups. Anyone can do it. In fact, people of marginalized groups can and should be allies for each other as well. What is an ally? An ally recognizes that though they are not a member of a marginalized group(s) they support, they make a concerted effort to better understand the struggle of another’s circumstances. Sometimes an ally may have more privilege and recognize that privilege in society. Banning together with marginalized groups help to defeat ignorance and intolerance. An ally doesn’t necessarily mean that you can completely identify with the experiences of injustice of the oppressed group, but it does mean that you will stand with them and for them in the face of discrimination. 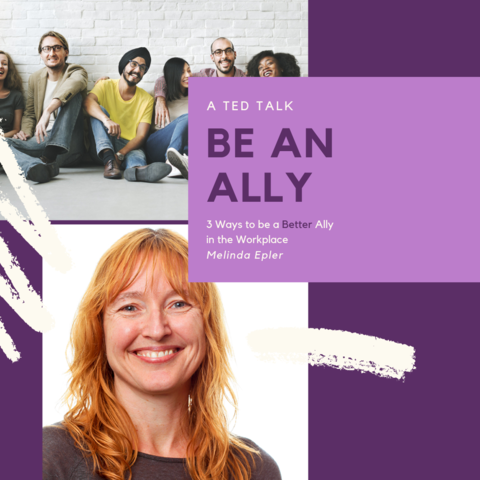 Melinda Epler explains 3 ways to be a better ally in the workplace in a TED Talk.